This will be only the second time that the Ryder Cup is staged outside of Britain and Ireland after Spain's Valderrama in 1997. A powerful American squad featuring nine major winners tries to end a 25-year drought in Europe at next week's 42nd Ryder Cup against a veteran-laden European team at France's Le Golf National. 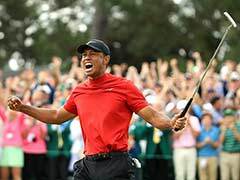 Tiger Woods, a 14-time major winner back on form after spinal fusion surgery, and five-time major champion Phil Mickelson are joined by 10 of the world's 17 top-ranked players in a juggernaut US lineup for the biennial showdown. World number one Justin Rose of Britain and four-time major winner Rory McIlroy anchor a Europe squad with five rookies and seven players who are 35 or older that will try to win back the trophy. "Europe has as strong a team as we've ever had. 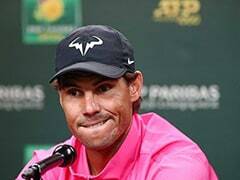 So does the American team," Sweden's Henrik Stenson said. "So it's all set for possibly the greatest battle ever." The United States won 17-11 in 2016 at Hazeltine and owns an edge of 26-13 with two halved in the all-time rivalry. But since the event expanded from Britain and Ireland only, the European side leads 10-8 with one drawn. "We know what America brings, but I'm confident that this is the group of guys that can do the job," Europe captain Thomas Bjorn said. This will be only the second time the Cup is staged outside of Britain and Ireland after Spain's Valderrama in 1997. The last time an American side won on European soil was at The Belfry in England in 1993. "The atmosphere we're going into in Europe, the boisterous crowd, I wanted guys that really enjoy that atmosphere and these guys enjoy that challenge," US captain Jim Furyk said. "We thought these players would handle the situation well and would thrive." Europe supporters chanting and singing songs create an intense mood during matches. "There's no atmosphere like it," Rose said. "It's an atmosphere you can't really prepare for. You don't know how you're going to react until you've done it a couple times. "It's a cauldron like no other that we play in." The Americans are slight favorites overall as a global audience awaits a first Cup spectacle with a French flair. "The Ryder Cup is one event that maybe transcends golf," Rose said. "It really captures sports fans' attention as well as just golf's attention." 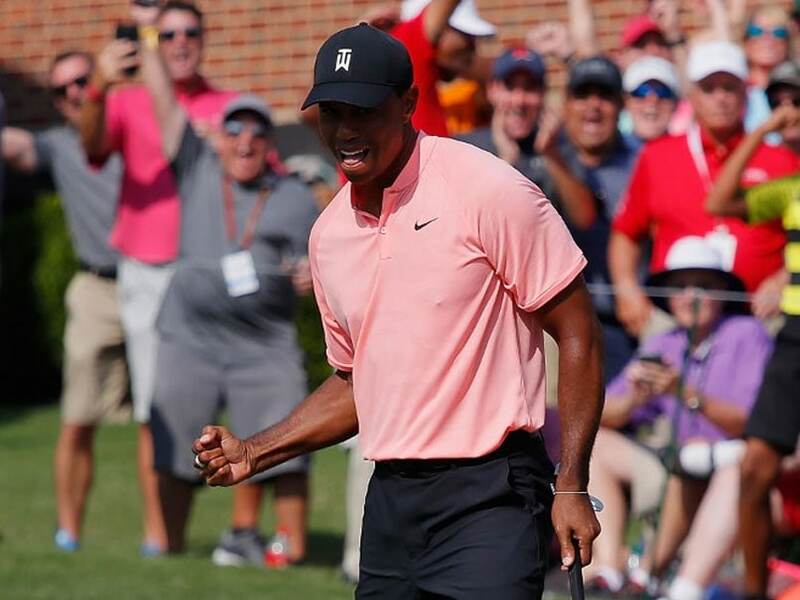 Woods, who hasn't won an event in five years and last captured a major at the 2008 US Open, was second in last month's PGA Championship and electrified crowds just as he might in France, where he last played in 1994 as a teen amateur. "He just brings something special," Denmark's Bjorn said. "The buzz with him being there and playing well, that just brings something extra. And that would be great for the Ryder Cup." The Americans also boast Brooks Koepka, this year's US Open and PGA Championship winner, and reigning Masters champion Patrick Reed, nicknamed "Captain America" for his ear-cupping reaction to European taunts in his 2014 Cup debut at Gleneagles. Other past major champions for the Americans include Johnson, Justin Thomas, Jordan Spieth, two-time Masters winner Bubba Watson and Webb Simpson. "I'm very excited about my team, and I have a lot of confidence in these players," Furyk said. "But each and every one of them knows the task ahead of us is going to be tough." 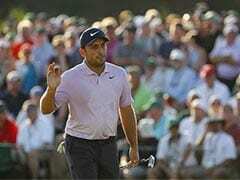 Europe's major winners in addition to McIlroy include reigning British Open champion Francesco Molinari, Rose, Stenson and 2017 Masters winner Sergio Garcia. The home course advantage offers European Tour players an edge, with the French Open contested over the same layout each year. "Europeans know this golf course very well," Furyk said. "It's a great course." Le Golf National boasts one of the world's great stages for the sport. "It really is a thinkers golf course," Bjorn said. "It's a ball-striker's golf course as well. It just asks questions of everything in your game." Bjorn opted for experience in captain's picks with Garcia, Stenson, Paul Casey and European talisman Ian Poulter, the hero of Europe's 2012 Miracle at Medinah fightback win. "Sergio has tons of experience in the Ryder Cup," Rose said. "Thomas is banking that he's going to bring that enthusiasm." The Europeans also have five Ryder Cup newcomers in Sweden's Alex Noren, Denmark's Thorbjorn Olesen, Spain's Jon Rahm and England's Tyrrell Hatton and Tommy Fleetwood. "I'm going to give everything I have not only on the golf course, but in the team room to make sure some of those rookies feel as comfortable as possible," Garcia said. The Americans have only three players over 35 -- Woods (42), Mickelson (48) and Watson (39) -- with seven 20-somethings, including rookies Thomas, Bryson De Chambeau and Tony Finau.